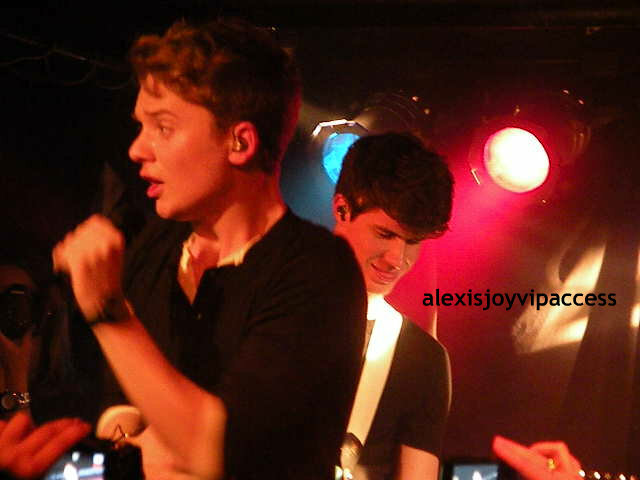 VIPAccessEXCLUSIVE: Exclusive Videos Of Conor Maynard At His Webster Hall, NYC Concert 1/10/13! British singing sensation- Conor Maynard is taking America by storm!! The musically dedicated Conor Maynard released his debut album, Contrast on January 8, 2013 and a only a couple of days later kicked off his first head-lining tour around five cities- New York City, Philadelphia, Detroit, Minneapolis, and Tampa. Conor Maynard’s album Contrast exhibits a variety of music genres including R&B, hip-hop and pop; and includes collaborations with musicians- Rita Ora, Pharrell and Conor Maynard’s mentor, Ne-Yo. Contrast is an instant hit for music lovers of any kind of genre and any age! Conor Maynard rocked the stage at his sold-out show at the Studio at Webster Hall in NYC on January 10, 2013. Conor Maynard made his “Mayniacs” go… mayniac by singing songs like “Vegas Girl”, “Headphones”, “Take Off” and much more and by doing covers of songs like “Don’t You Worry Child” by Swedish House Mafia and “Starships” by Nicki Minaj. Make sure you have Conor Maynard’s album Contrast which can be purchased on iTunes and don’t forget to spread the word to all your friends and family! Previous VIPAccessEXCLUSIVE: Exclusive Pictures Of Conor Maynard At His Webster Hall, NYC Concert 1/10/13! Next Actors Benjamin Stockham And Xolo Mariduena Looking Sharp At The NBC Universal Golden Globe Awards After Party 1/13/13! Thanks for sharing your 2013 start of exciting covered events .. Keep up the good work and we’ll be always tuned in.